Freezer Special #4 $149.99 Wrapped according to family size. Limited to ONE substitution per package. 4 Rib Eye Steaks - 12oz each 2 London Broils - 2 1/2 lb each 3 Pkg Pork Chops - 4 each 1 Rump Roast - 3 lb 5 Pkg Ground Chuck - 1 lb each 20 Chuck Patties - 10 to a package 2 Whole Chickens 2 Cut Up Chickens 25 Hot Dogs 5 Pkg Italian Sausage Links - 3 each Please allow a minimum of 48 hours for pickup. Cannot be prepared without a valid phone number,credit card and email address.We will email you to verify order and give you pickup time and date. All internet orders will be wrapped for 4 people. 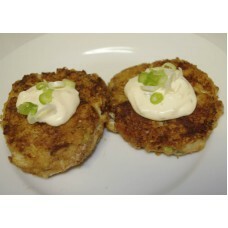 Wassi's crab cakes are a delicacy - crafted by hand using 100% domestic snow crab meat from local so..
Summer Freezer Special $99.99 Wrapped according to family size. 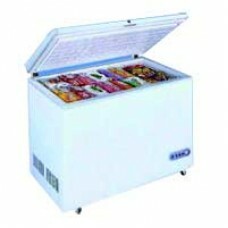 Limited to ONE substitution per pa..
Gourmet Freezer Special $84.99 Wrapped according to family size. 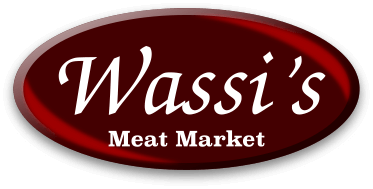 Limited to ONE substitution per p..
$2.99 lb Purchase in store only We make a very honest sausage—a straight forward porky flav..
Freezer Special #3 $99.99 Wrapped according to family size. Limited to ONE substitution per packa.. 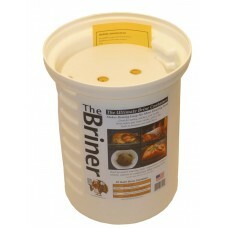 The Briner completely resolves the #1 challenge to successful brining - floating food! 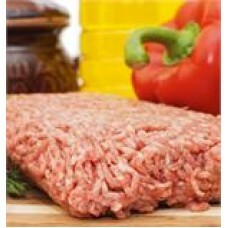 Our Patented..
Freezer Special #2 $129.99 Wrapped according to family size. Limited to ONE substitution per pack..